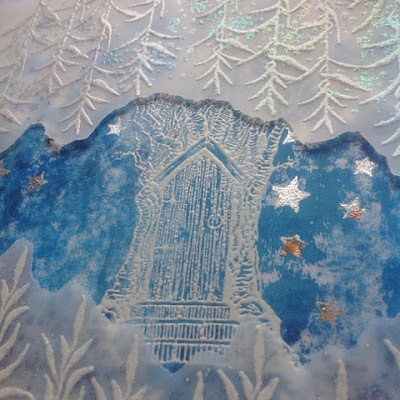 The Lavinia challenge for November is Christmas. I'm don't really have any Christmas Stamps, but I decided to build a winter scene around the lovely tree trunk. Also posting for the WOW challenge (Anything goes)... no linkup there, but everyone seems to have linked to the comments. 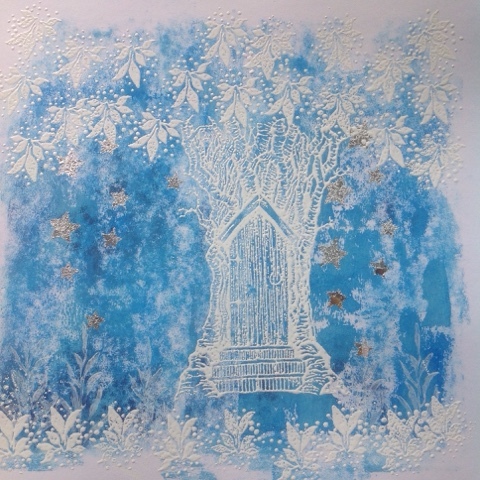 I've brayered blue acrylic paint onto my card blank, gilded some stars with Megaflakes (Flitterglu applied through a stencil) stamped the tree and foliage with Versamark and heat embossed with white. After that I continued heat embossing onto vellum, willow branches in white and little stars in "kaleidoskope" for a little bling. 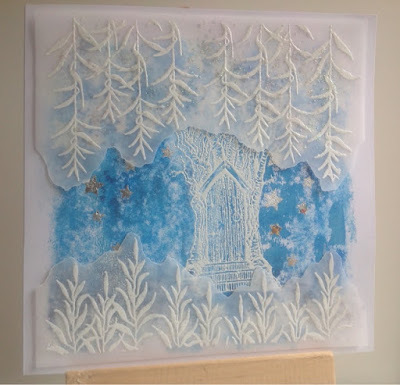 I tore the edge of the vellum and mounted it by cutting narrow strips from a low foam tape and placing it behind the leaves and branches.